The XTR-WRC420 Wireless Analog 4-20mA Transmitter/Receiver System allows for remotely monitoring or controlling equipment from a distance up to 6 miles away using license free wireless radio communication. Each set features one 4-20mA analog signal input and output. Each system is sold as a factory programmed matched set. That means there is no field settings needed to operate right out of the box. Transmitter Operation Transmitter Operation The wireless 4-20mA analog signal transmitter reads analog input data from temperature, pressure, strain, flow, level or RH sensors and then sends the measured data over the air to a remote location. The measured 4-20mA current signals are converted to digital packets and then transmitted via a license free radio transmission to a waiting control receiver. Receiever Operation Transmitter Operation The wireless 4-20mA analog receiver decodes any incoming radio packets and converts them back into the same 4-20mA current signal that is being measured by the transmitter in real time. See Full Data Sheet For Additional Specifications. 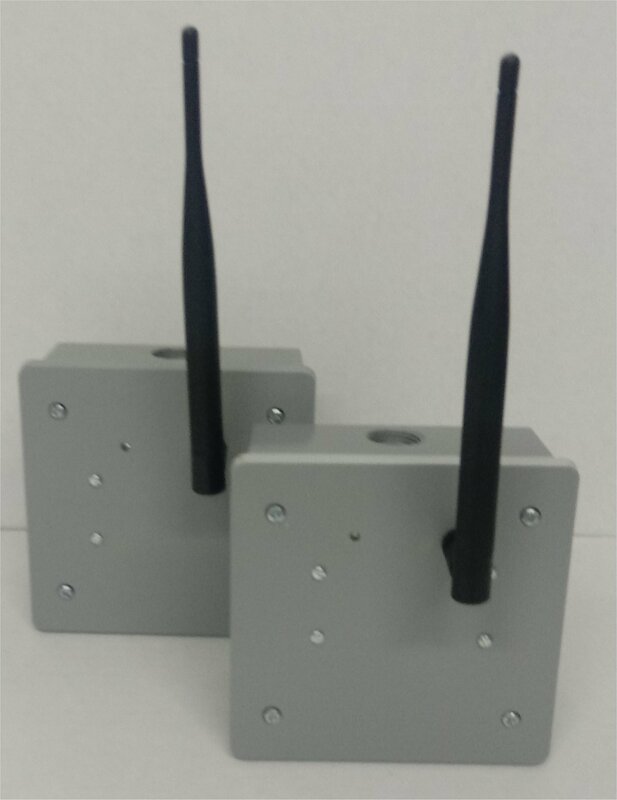 Each Wireless Transmitter/Receiver Set includes 7dBi Antennas, 9'Antenna Extension Cables, Antenna Mounting Brackets and User Manual. Note: Continued product improvements make specifications subject to change without notice. This product is approved for use in North America.